Journal of Clinical Case Reports and Case Studies is an international, peer reviewed, open access, scientific and scholarly journal that publishes Case Reports and Case Studies in all areas of Clinical Medicine. We promise researchers, clinicians, academicians, healthcare professionals to provide a forum to publish their valuable number of case reports online and also, they can find latest case studies published in our journals archive. Journal of Clinical Case Reports and Case Studies seeks manuscripts that innovate various theoretical frameworks like behavioral, psychodynamic, gestalt, humanistic, cognitive-behavioral, rational-emotive therapy and others. Journal of Clinical Case Reports and Case Studies is an online peer reviewed journal which promotes interesting cases and case series of all medical areas. It presents Vanguard findings in respective of clinical and medical areas. Apart from basic findings in clinical cases, our journal focuses on clinical trials, drug design and development, methodologies, diagnostics etc. 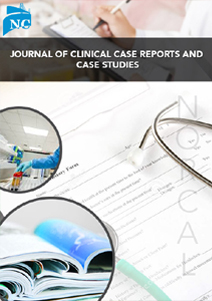 Journal of Clinical Case Reports and Case Studies is an Open Source for all and adopted to internationally accepted editorial policies to publish high quality case reports, case reviews, prospective of clinical trials, and ethical issues related to clinical investigations. Case Studies are detailed report of the signs and symptoms, diagnosis, therapeutic techniques and solutions of individuals, a small group of participants, or categories as a whole in the field of medical and life sciences. Clinical case studies deal with designing a case study, conducting case studies, through various methods like single or multi-modal, participant selection, collection and analysis of data for beneficial of patients. We encourage authors, who always shows more interest to publish their work in the prestigious journals and avail them freely to the scientific community. Publication is a long path from author to reader, so our aim to abolish the barrier between author and reader or the end user for the smooth flow of scientific information by making the Open Access. This provide a fleeting turn-around time perhaps for reviewing and publishing and to disseminate the articles freely for research, teaching and which includes for reference purpose. Journal was positively evaluated in the SJIF Journal Rank List evaluation process, which resulted in a score given SJIF 2018 = 4.58 (Scientific Journal Impact Factor Value for 2018).